A week ago, Babu Owino threatened to fly to Kampala and lead demonstrations calling for the unconditionally release of Bobi Wine. The Embakasi East MP together with other legislators Jared Okelo (Nyando) and Gideon Keter (Nominated) took swipe at president Museveni during a press conference. “We have been arrested before and do not fear Museveni. We will be taking a revolutionary demonstration to Uganda because it is high time things change in our neighbouring country. 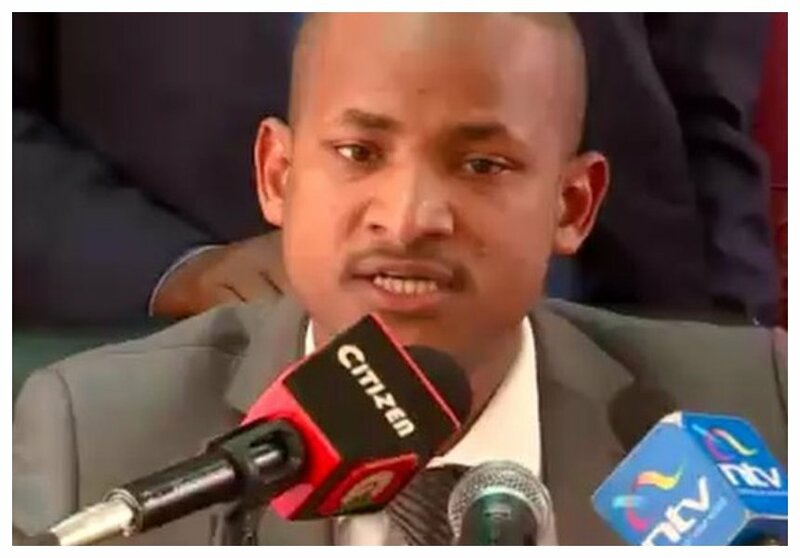 We cannot sit and watch injustices being committed in the continent,” Babu Owino declared. 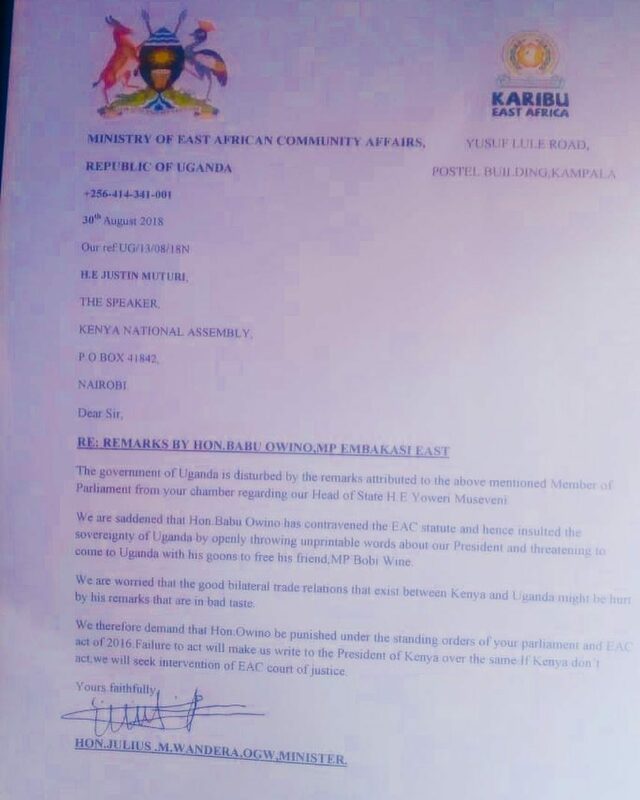 Uganda’s Minister of State for East African Community Affairs Julius Wandera is calling on Babu Owino and the two other Kenyan lawmakers to apologize to Museveni. He revealed that he had written to the parliament of Kenya through Uganda’s Speaker demanding the three MPs to apologize. Babu Owino responded to the Ugandan minister indicating that he won’t apologize to president Museveni since he has already achieved his objective – the release of Bobi Wine. “Museveni should keep off,I already achieved what I wanted which was the release of Hon.Bobi wine,” wrote Babu Owino.